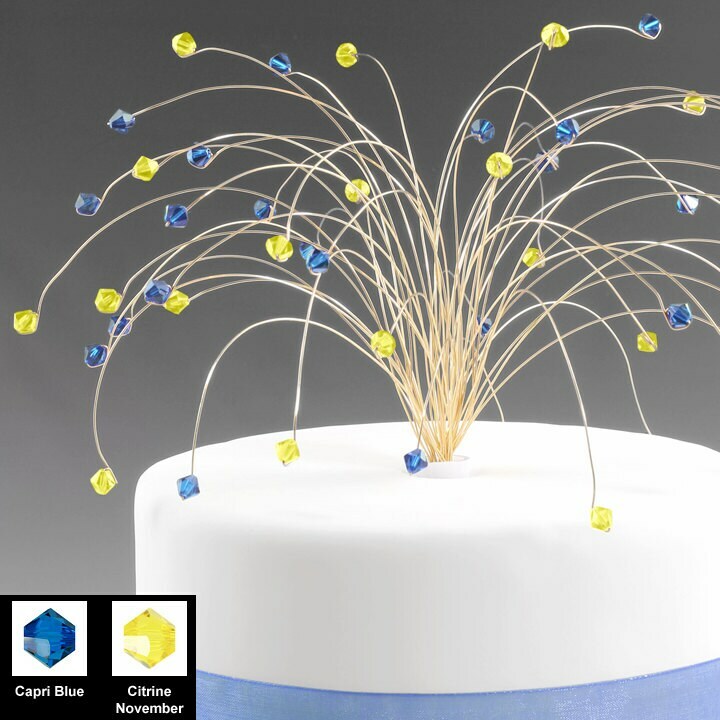 To order your Fireworks Cake Topper Spray please select your choice of silver, copper, or gold tone wire from the drop down box along with your choice of bead. Add the listing to your shopping cart. Once in the cart if you selected a bead color then proceed to checkout. If you selected Custom from the drop down box then list your choice of beads from the sample image. You can mix as many different colors as you like for wedding colors or birthstones. Please use the color name listed in the sample image. 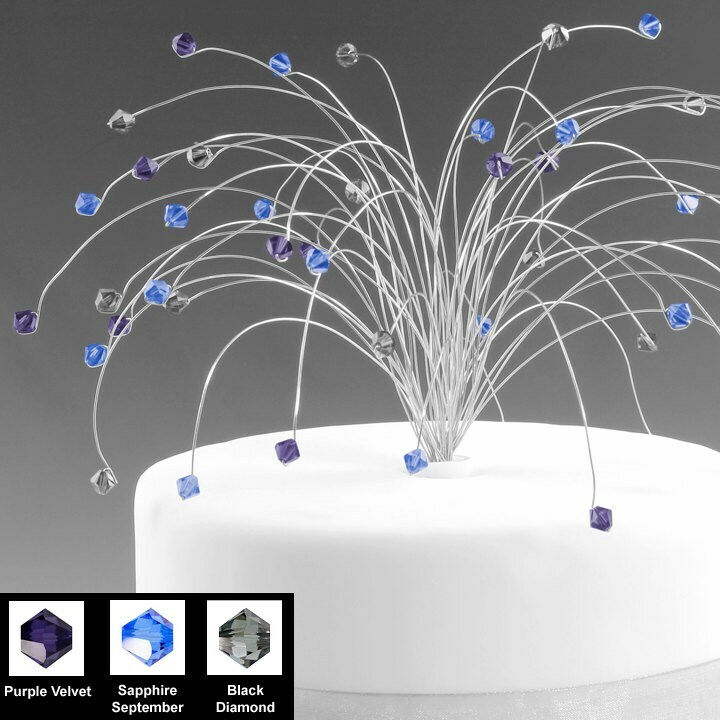 This listing is for a custom fireworks spray cake topper in your choice of beads and wire. 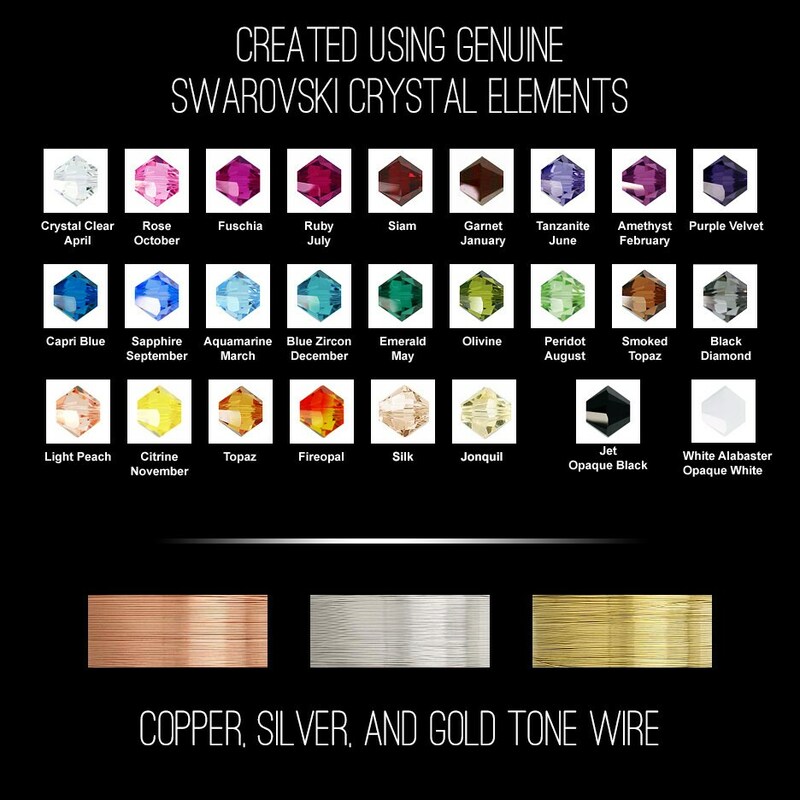 Choose from tarnish resistant gold or silver tone wire and a variety of swarovski crystal elements. The plastic cake pick measures 3" long. 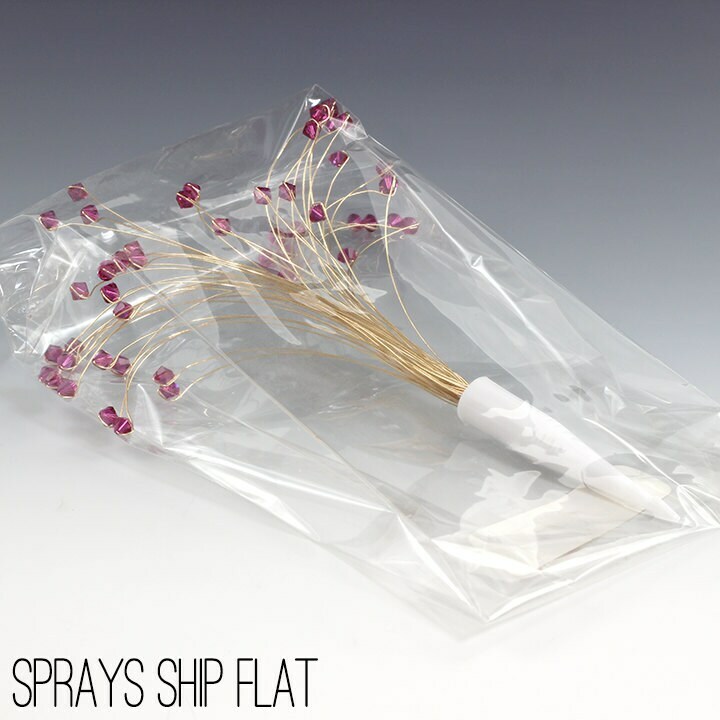 The spray itself without the pick is approx 5" tall and 8" wide if arranged as shown. The spray is permanently attached to the pick. 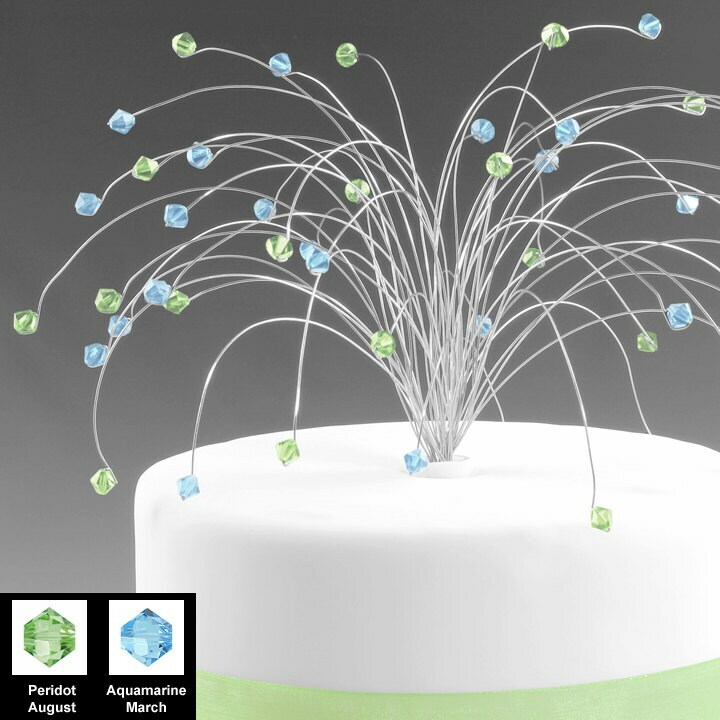 Great for most cakes with a 4" to 6" top layer. The cake in the photos has a 6" top layer and an 8" bottom layer. Both layers are 3" thick. These sprays arrive flat and will need to be fluffed up. Allow 1-2 weeks for the delivery of your spray in the USA. International orders arrive 2-6 weeks from the ship date. Rush orders are possible but please contact me before ordering. Ships via USPS Priority Mail within the USA and Internationally via First Class International Mail. Beautiful cake topper, will look fabulous on my 4th of July cake. Thank you! Love the colors and looks pretty! Thought it was going to be a little fuller though. It came in the box needing to be spread out...shipping issues obviously. So, maybe it would look different if it was spread out differently. I'm still trying to play with it and get it just right. Exactly as pictured, a little tinier than I imagined but that's my fault for not measuring. Wire is very fragile. A very unique and beautiful topper. No contact with seller but shipped fast.